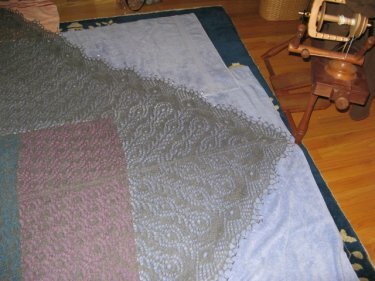 Knit with 100% hand-dyed silk on size 2 circulars - Size 4 just seemed to big for the lace-weight silk, being that it doesn't have the kind of loft or fluffiness of wool. Consequently, the piece is smaller than the specifications - 21" from top to bottom, and 43.5" across the top. 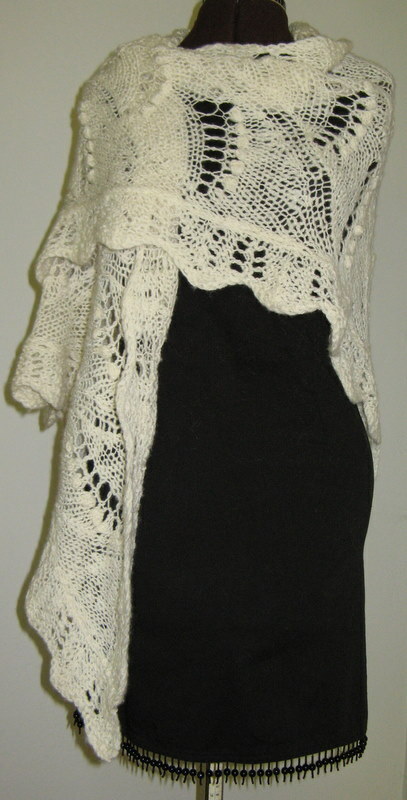 More of a shoulder shawl, or scarf, and went fairly quickly - maybe about a week. I had impulsively purchased a single irresistable skein of silk (Redfish Dyeworks) after having read the book "Silk" by Alessandro Baricco. 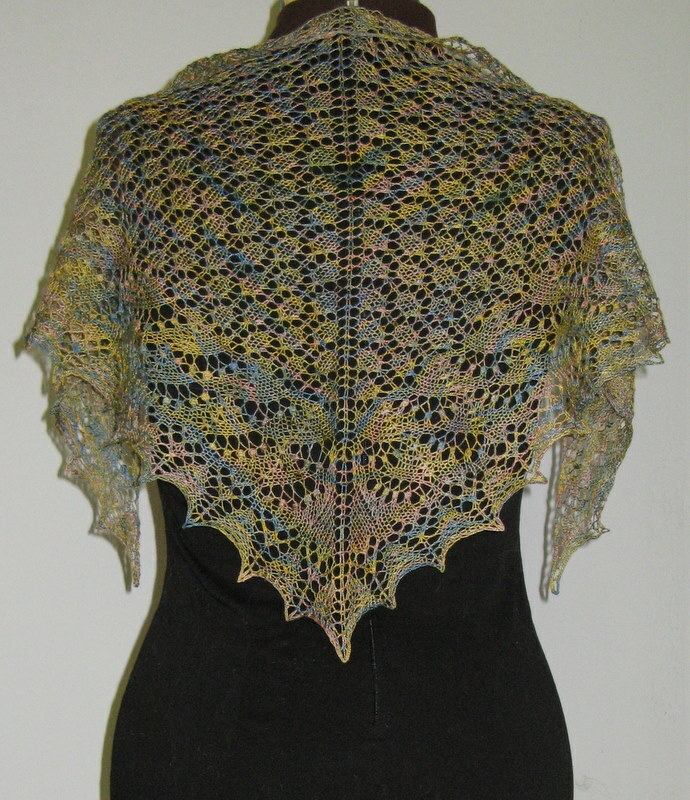 Interesting what the lace does with the colors! Undyed blue-face leicester spun and plied to about a sport weight and knit on very large needles (15 I think). 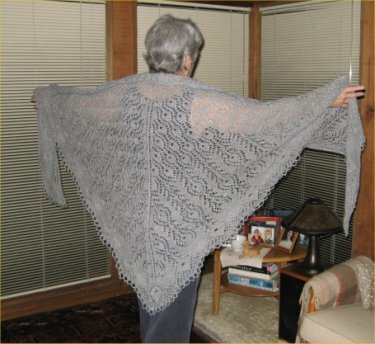 Pattern from Spin-off 2004 - finished around that time - worn on many occasions but the photo is recent! 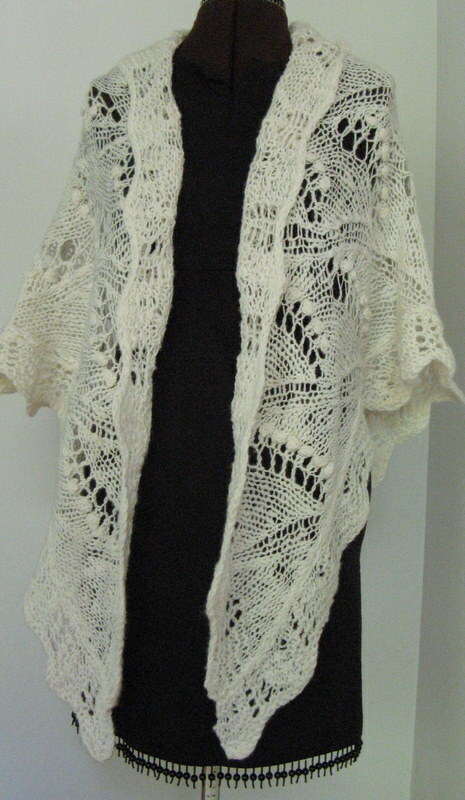 Soft, warm, functional and elegant. 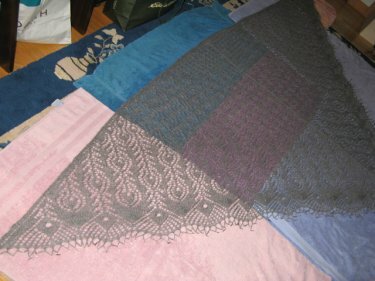 After about 2 1/2 years (and about 1 year not working on it) the Peacock Shawl is complete! 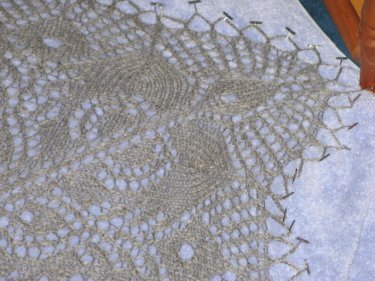 I had spun silver alpaca (baby I think, but it's been awhile) sport weight, and there seemed to be more than enough, but.. 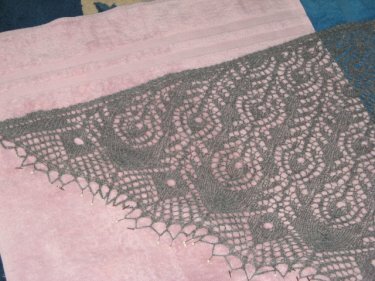 I did run out, got more fiber, spun it, and continued on. Fortunately I didn't run out again, as the place I originally purchased it, and where I learned spinning, no longer operates as a retail establishment :-( . Heavenly soft fiber, and a dream to spin. 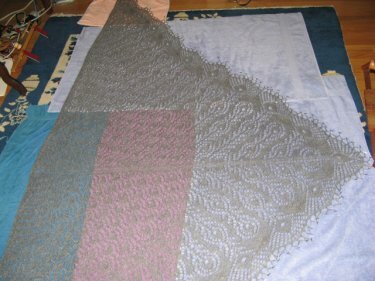 After blocking, the true size revealed itself: 115" across the top x 55.5" down the center. Lot's of pins (and patience) needed here! 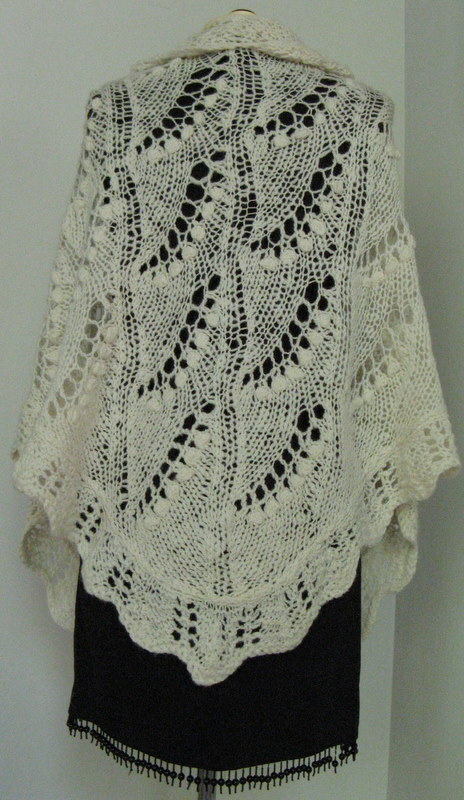 My mom inspired the choice of fiber and also chose the pattern - great choice!